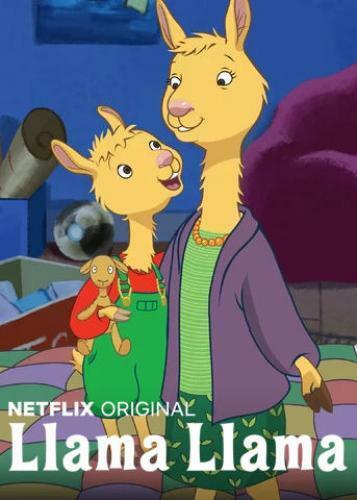 When will be Llama Llama next episode air date? Is Llama Llama renewed or cancelled? Where to countdown Llama Llama air dates? Is Llama Llama worth watching? Llama and Grandpa gear up for the town's annual Fast Forward Derby. / When Llama loses his tooth, Mama helps him retrace his steps. Llama and the gang get creative when weather ruins their last-day-of-summer plans. / Gilroy Goat's "goofing around" goes a bit too far for his friends. Llama forgets to bring his favorite stuffed animal to a sleepover at Gram and Grandpa's. / A bad cold keeps Llama home from school. Llama has trouble saying goodnight after a special day with Mama. / A playdate with Nelly Gnu teaches Llama an important lesson about sharing. A marathon shopping day with Mama leads to major drama at the grocery store. / Llama's convinced that his red pajamas bring him luck. Llama's asked to judge a snow sculpture contest ... but that means choosing between his friends' designs! / The kids at school play Secret Santa. It's the first day of spring, and Llama's already overscheduled. / Llama's friends seem too busy to play ... but he's in for a surprise! A heat wave prompts Llama to open a lemonade stand. / Llama and Nelly help Luna get over her stage fright so she can dance in an upcoming recital. Gilroy invites Llama and Euclid over for their first real sleepover. / The kids volunteer to clean up the yard of a reclusive neighbor. Llama puts his problem-solving skills to work as coach of his friends' kickball team. / Nelly's jealous of all the attention her baby brother's getting. Llama and his friends have so much to do on Halloween, it's scary! / Llama rallies the town to clean up the pond in time for the annual Boat Float. Llama's friends are all excited for a beach day, but a nervous Llama can't swim. / Llama tries to give Mama the "perfect" Mother's Day present. The gang helps Llama get Luna's necklace back after it falls down a drain in the schoolyard. / Gram and Mama take Llama camping with his friends. Llama and Nelly spend the day with a brand-new babysitter. / A school project pairs Llama and his friends with grown-ups while they're doing their jobs. Llama and the class get a chance to read books to younger students. / Gilroy can't decide what to make his friends for Valentine's Day. Llama Llama next episode air date provides TVMaze for you. EpisoDate.com is your TV show guide to Countdown Llama Llama Episode Air Dates and to stay in touch with Llama Llama next episode Air Date and your others favorite TV Shows. Add the shows you like to a "Watchlist" and let the site take it from there.